During the festival we like to prolong the musical emotions after the concerts, by offering the opportunity for moments of friendship and exchange over a glass of wine. Each Sunday afternoon concert is followed by a farmers’ market offering the chance to sample local quality food, wine, cognac, pineau and much more. Receptions, meet the musicians, events for children, after every event there is a chance to experience the ‘festival fever’, to meet and socialise with other audience members, artists and festival staff members. 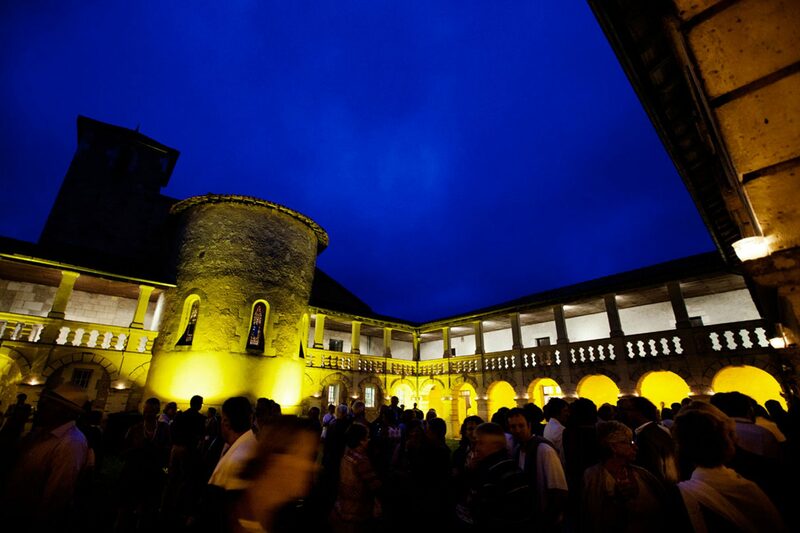 Additional social events throughout the year are promoted by the «Friends of the Festival», further information from the Friends’ table after the concerts or click on Friends of the Festival. Animated exhibition and workshop with the Belgian association of contemporary bow-makers & violin-makers EKHO.